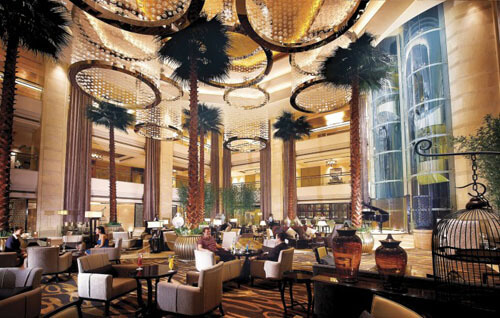 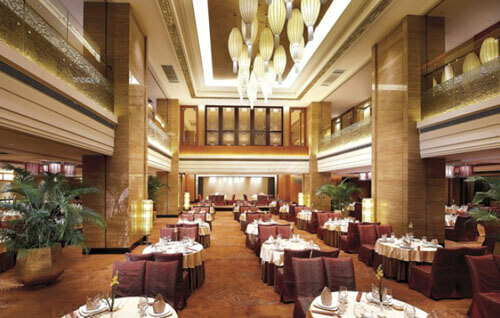 Shenzhen Baolilai International Hotel is located 5 minutes from Shenzhen International Airport and offers luxurious accommodations near the airport. 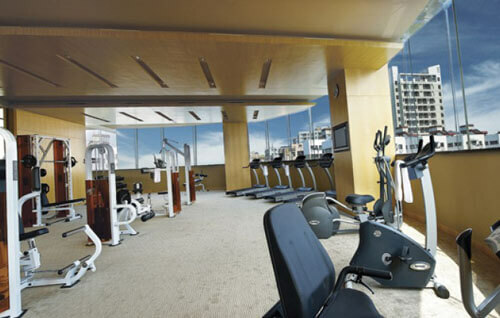 The hotel offers 502 rooms and suites of various styles, including Japanese style rooms, multifunctional banquet hall and conference rooms, several restaurants and bars, as well as a well-equipped fitness and recreation facilities. 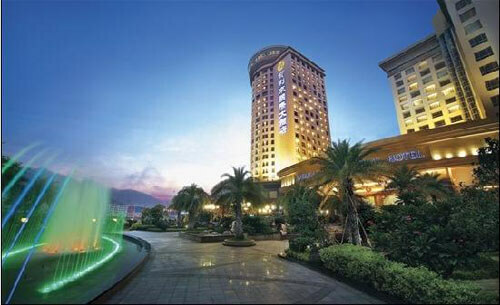 Free wifi internet is offered for all the guest rooms. 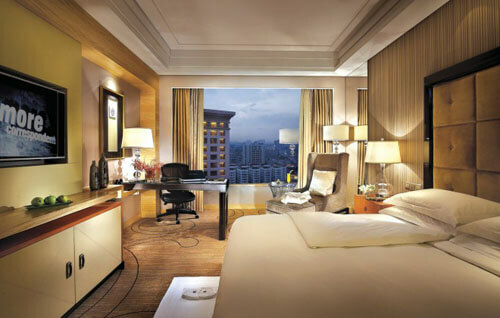 A variety of modern and elegant rooms is available, including Supreme Rooms, Deluxe Rooms, Business and Executive Suites. 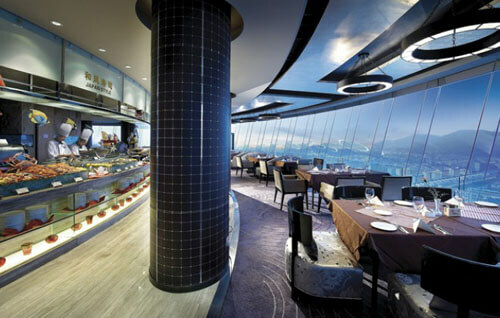 Sialan Western Restaurant, Fukujima Japanese Restaurant, Phoenix Court Revolving Restaurant, Lobby Bar. 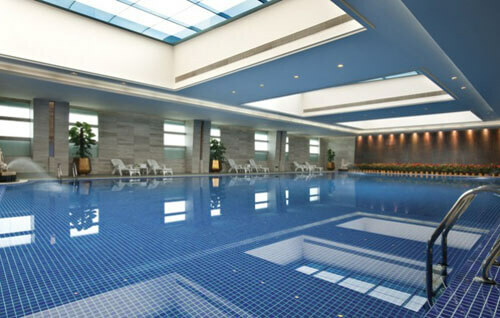 Bylikang SPA Club, located on floors 4-8 of Buildig C of Baolilai International Hotel, with Chinese and Thai style decoration and floor area of more than 20,000 square meters, Bulikang Spa Club as the largest comprehensive spa club in Shenzhen. 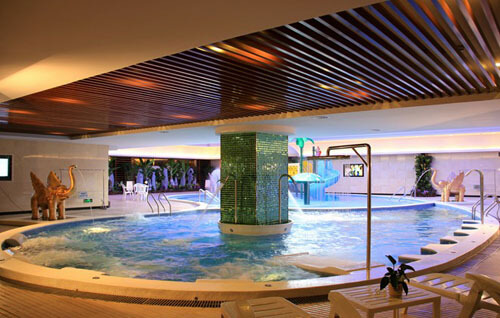 Swinging Pool, located on the 5th floor, is divided into the deep water area (1.5m), the shallow water area, the area for receiving massage in water in a lying-down and sitting position and the children’s pool, complemented by a locker room. 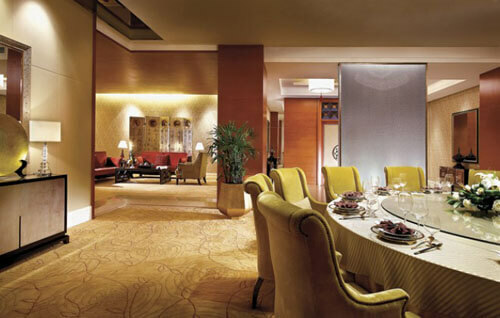 Copyright © 2019 · Shenzhen Airport Hotel Guide.